Fiber Flux: January Clean Up! Yikes! The yarn area of my home is frightening! After the New Year, I am itching to bring order back to my life. I was reading this post from last spring and I thought I would share it with you today...it has inspired me to straighten some things up today...I feel like when my space is clutter free, so is my mind. 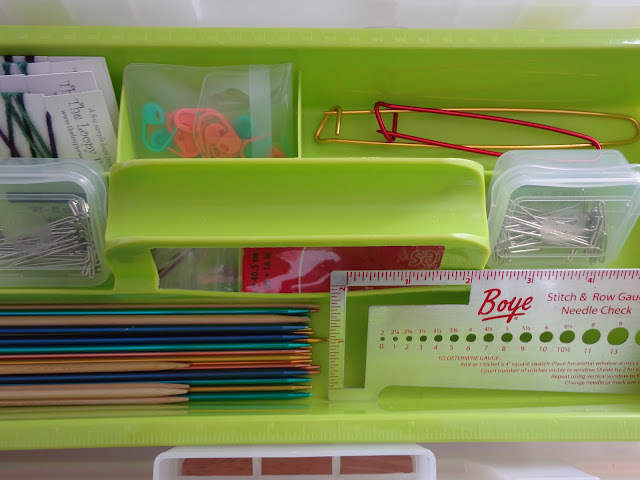 Click here for some organizing tips for knitters and crocheters! Each idea is either free or dirt cheap...totally worth the time and effort too. I can't wait to get started, plus it allows me to do a little "yarn gazing" too, is anyone else guilty of that? I would LOVE to hear some ideas from you too, dear readers, please share them below! Have a look at my three a day challenge underway at Chalky's World right now. Slowly,slowly catchee monkey. Great idea! I find that it is easier to do it bit by bit, but sometimes I have to tackle it all at once too! Sigh. :) I love your idea about 3 things for charity, sometimes I think I only use a fraction of what I think I need. It is a good plan to start the year organizing! 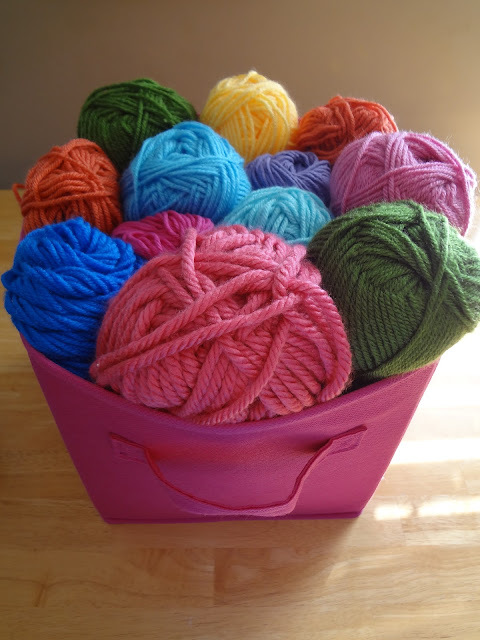 If you find you have too much yarn, maybe you´d like to join our "Start-Buster challenge". No pressure, just encouragement and inspiration. I saw that, great idea, definitely will check that out! I have my buttons in a big fishing-box (don't know what you call them in english). I have houndreds of buttons in different colours and sizes. I sort them by size and colour, special ones in zip lock bags and really small ones in small containers which I stack in one of the bigger slots in my box.